Studies find a decline in Asian-American students’ success once they move away from home and go to college. Some research has found that once Asian-American kids hit college, they no longer outstrip white students academically — if they’re living away from home. For example, a study of 452 students at UC Irvine led by University of Denver psychologist Julia Dmitrieva found that while both white and Asian-American students’ freshman year grades dipped below their 12th-grade GPAs, Asian-Americans’ fell dramatically, while white Americans’ dropped only slightly. “There’s a reversal of ethnic differences in college grades, at least temporarily,” Dmitrieva says. That reversal didn’t stem, as some have guessed, from Asian-American students taking more natural science courses, which generally are graded more stringently than other subjects. In fact, her study showed that grades in both natural and social sciences dropped for the Asian-American freshmen, while grades in natural sciences rose for white students. “We observed the same dip in grades for natural sciences among the Asian-Americans as there are for other majors,” says Dmitrieva. And when Esther Chang studied 120 white and 395 Asian-American undergraduates at a large public university in California, she found that while the white students’ GPAs averaged 3.21, all the Asian-American groups’ GPAs were significantly lower — 3.04 for East Asian, 2.99 for Southeast Asians and 2.94 for Filipinos. “They’re not flunking, but when you compare them to European-American kids, they tend to be having a little more difficulty,” she explains. Do Asian-American Parents Push Their Kids? While some view Asian-Americans as pushy, stressing their children into exceptional achievement, research doesn’t bear out that stereotype. Read about it here. The Asian-American students studied less, went to the library and to class less than the white students, says Chang. She and Dmitrieva speculate that Asian-American parents’ involvement in their children’s out-of-school activities leaves the kids unprepared to manage their time in college. Dmitrieva’s study supports that hypothesis, since the grades of that Asian-American freshman who still lived at home, or scored well on a test measuring academic perseverance and diligence, didn’t drop any more than those of the white students. Psychologist Ruth Chao at the University of California, Riverside, points out, however, that since a higher proportion of Asian-Americans than whites go to college, that in itself could weigh down the average grades of that group. And, comments Dorothy Chin, associate research psychologist at UCLA’S Semel Institue for Neuroscience and Human Behavior, “Asian-American kids aren’t exactly known for partying. Kids living at home while going to college, on the other hand, are less likely to need to work, Chin explains. This reversal of ethnic GPA differences in college helps destroy the myth of Asian-Americans as a “model minority” who don’t need help or resources, says Dmitrieva. “The point is, they’re not invincible,” she says. When it comes to involvement in their children’s education, Asian Americans have their own distinct style that often pays dividends when report cards arrive. The hubbub over the Tiger Mom model presented in a recent best-seller left some recalling the stereotype of the Jewish mother. But what happens when couples are Asian and Jewish? 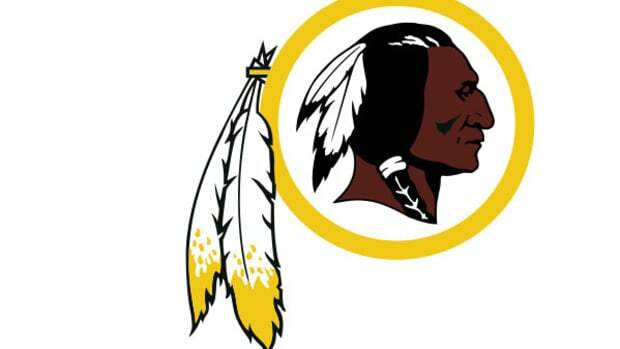 There's such a thing as going too far, but team mascots are supposed to be offensive. There's a lot of ways parents can help their teenagers achieve, but research suggests the most effective way is expecting them to try their best.